This crabs name is Hermie the Crab and he's a traveler. Hermie loves exploring new places and learning about the world. It's super convenient that his house is in his shell! 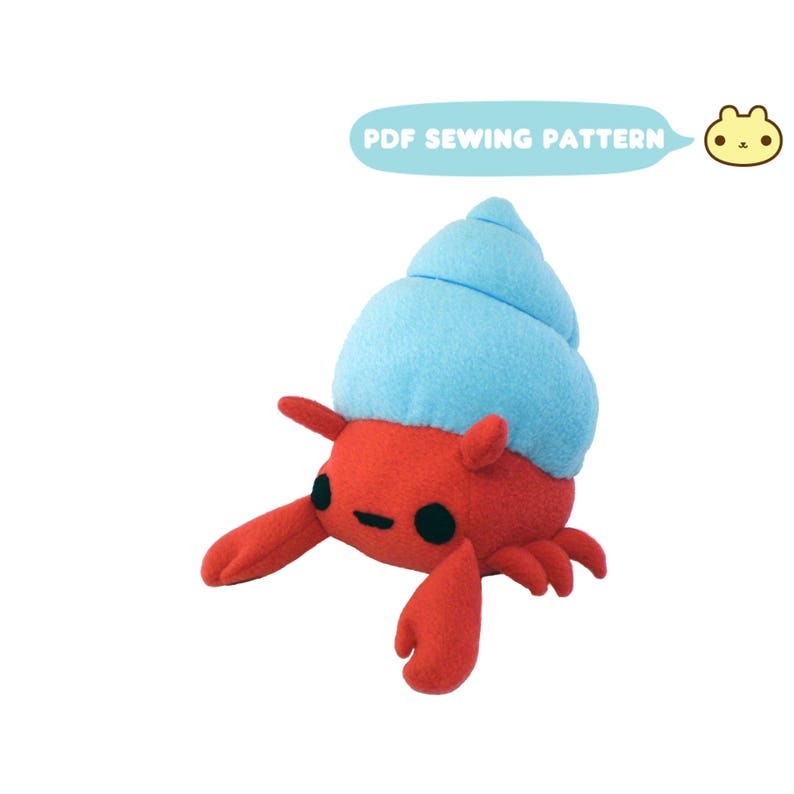 You can make your very own plush crab using this pdf sewing pattern! It was just what my one sewing student was wanting to do for her next project.